The Gator Hybrid gets it's name because of how it's built. It looks like a soft cover with nice vinyl tarp, but it has hard security panels underneath. Making it impossible to cut through the cover to access the bed of your truck. No need to worry about security. Load up your bed with all of your items, close the cover, and lock the tailgate. 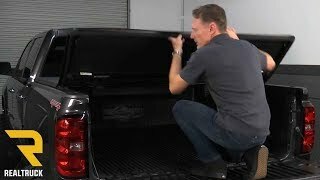 With a locked tailgate, the items in the bed are going to be more safe than they would be if they were locked in the cab of the truck. To open the cover, release the handle clamps and fold the cover forward. Strap the cover in place, and you are ready to haul cargo down the interstate. When the cover is completely open, you will have 2/3 Bed Access to haul tall, heavy cargo. While no cover is going to be 100% waterproof, it's going to be hard for water to make it's way past the Hybrid. Because the cover mounts on top of the bed rails, water will run straight off the the cover and away from the bed. The Hybrid is made in the United States and Gator gives it a Lifetime Warranty on all materials and components! Looking for a hard fold cover with the look of a soft tri-fold cover, then look no further. Gator has just that with their hybrid tonneau cover. Hybrid truck cover has a soft touch vinyl on the exterior, with a heavy duty ABS polymer underneath. That way your cargo is cover up by the vinyl so you don't have to worry about prying eyes, you also have that added protection of the plastic so they can't just cut into your cover. Looking for an easy install then you have found it. 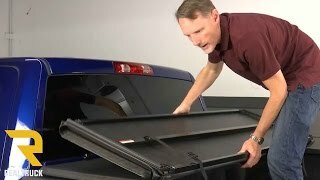 The Gator hybrid tonneau cover will only take minutes to put on and take off, with no tools needed. That way if you are hauling something large and need your entire bed you can take the truck bed cover off. Also with this cover you can open the first two panels and they will clamp on to the third panel to give you two thirds of your bed and you don't have to worry about the cover coming off. Made in the USA, backed with a limited lifetime warranty that will give you that peace of mind that everyone likes. 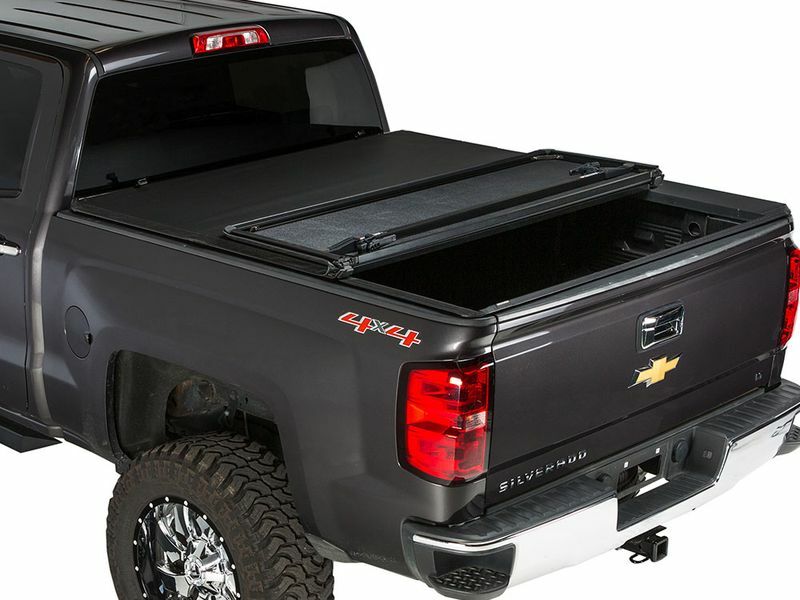 So get your Gator hybrid tonneau cover today! Your new hard tri-fold bed cover from Gator comes completely preassembled and ready to go. Installation takes just a few minutes and won't require any special tools or any tools for that matter. Just set the cover on your bed, adjust the four clamps, and you'll be ready to go! Give us a call if you need more information or if you have any questions.